Animation Mentor graduate, Steve Orsini, kicked off a Blue Sky week of blogs. Today, we welcome Animation Mentor alumnus — Louaye Moulayess — back to the Studio School to share the five things he learned while working on an animated feature with our friends at Blue Sky Studios. Super cool and big thanks, Louaye. If you’re an animation student, you will hear this often: Plan your shot. Get all the reference you’ll need, or might need. Do your research thoroughly, because you cannot animate something you do not understand. Before animating, Milt Kahl imagined his scenes in his head and had the whole thing already worked out mentally. So have a clear idea of what you want to do before you dive in the computer. You can either shoot reference, draw thumbnails, do both, or do whatever works for you. Take the time to prepare your scene file, be meticulous. For example, while animating on Epic, I found it very helpful to put the set and every character on a layer (I even colored and named the layers). Do EVERYTHING you can to make your job easier for later. And don’t forget to always save periodically as you go along. 2. Ask for help — it’s a GOOD thing. Let’s say for example, that you have to animate a shot with a giant robot lollipop from space. If you have no idea where to start, do not hesitate to ask for help from an animator who had previous experience with that character. On Epic, I had to animate a shot with hummingbirds. I had no idea where to begin since I’ve never animated a hummingbird before. But then, FLASHBACK: I remembered that my colleague had done an awesome job with that character. So I went to his desk, asked him some questions, talked about my shot and my ideas, and got some kick-a$$ pointers! Asking for help will save you lots of time plus you get to hang out with your animation buddy and talk about his or her action figure collection. If you notice that one of your colleagues is struggling, offer some help and be there for him or her because we are all in the same boat. On Epic, we had a lot of different characters to animate: Humans, leaf men, birds, bats, slugs, frogs, insects, crows, and more. That made it extra fun! I had to learn to be flexible in my animation style and be able to animate all of those characters. In addition to that, the film had some characters that had to be animated more “realistically” (less “cartoony”) than others. 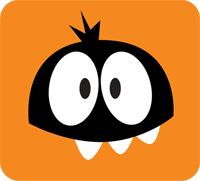 Always be open to learning how to animate new characters and different styles of animation. At the end of the day, the shot you are animating belongs to the director, not you. If something is unclear when you are given a new shot, make sure to ask your director (and your supervisors) all the questions that you have. I made it a point while working on Epic to write in my sketchbook all the specific questions that I had about the shot. It made the whole process easier and faster. If you are struggling with a shot or getting lots of changes (and you have to always be ready for changes), don’t forget to pace yourself, take breaks, get out of your chair, look at your pretty action figures, play ping pong, or even prank your coworkers. Anything that will take your mind off things. Don’t forget to have fun even when you have tricky shots and remember that animators like us have the best job in the world! 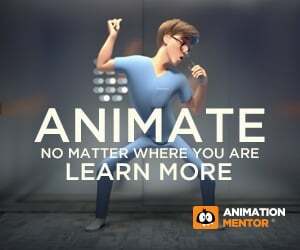 So go out there and start animating! There is NO giant robot lollipop from space in Epic.